As in the years before, the MPIs for Informatics and Software Systems jointly participated in the annual Girls' Day on 28 March. We welcomed a record number of 27 school-aged girls to our institutes to provide them with a bit of insight into computer science. Together we programmed smartphone apps, soldered blinking smiles and running bugs, and solved hands-on computer science puzzles. An article in the career guide of Nature titled "How Germany is winning at turning its research to commercial application" mentions the work of Paul Francis' group on anonymization and the spinoff Aircloak. A long-standing problem both within research and in society generally is that of how to analyze data about people without risking the privacy of those people. There is an ever-growing amount of data about people: medical, financial, social, government, geo-location, etc. This data is very valuable in terms of better understanding ourselves. Unfortunately, analyzing the data in its raw form carries the risk of exposing private information about people. The problem of how to analyze data while protecting privacy has been around for more than 40 years---ever since the first data processing systems were developed. Most workable solutions are ad hoc: practitioners try things like removing personally identifying information (e.g. names and addresses), aggregating data, removing outlying data, and even swapping some data between individuals. This process can work reasonably well, but it is time-consuming, requires substantial expertise to get right, and invariably limits the accuracy of the analysis or the types of analysis that can be done. A holy grail within computer science is to come up with an anonymization system that has formal guarantees of anonymity and provides good analytics. Most effort in this direction has focused on two ideas, K-anonymity and Differential Privacy. Both can provide strong anonymity, but except in rare cases neither can do so while still providing adequate analytics. As a result, common practice is still to use informal ad hoc techniques with weak anonymization, and to mitigate risk by for instance sharing data only with trusted partners. The European Union has raised the stakes with the General Data Protection Regulation (GDPR). The GDPR has strict rules on how personal data may be used, and threatens large fines to organizations that do not follow the rules. However, GDPR says that if data is anonymous, then it is not considered personal and does not fall under the rules. Unfortunately, there are no precise guidelines on how to determine if data is anonymous or not. Member states are expected to come up with certification programs for anonymity, but do not know how to do so. This is where we come in. Paul Francis' group, in research partnership with the startup Aircloak, has been developing an anonymizing technology called Diffix over the last five years. Diffix is an empirical, not a formal technology, and so the question remains "how anonymous is Diffix?" While it may not be possible to precisely answer that question, one way we try to answer that question is through a bounty program: we pay attackers who can demonstrate how to compromise anonymity in our system. Last year we ran the first (and still only) bounty program for anonymity. The program was successful in that some attacks were found, and in the process of designing defensive measures, Diffix has improved. In order to run the bounty program, we naturally needed a measure of anonymity so that we could decide how much to pay attackers. We designed a measure based on how much confidence an attacker has in a prediction of an individual's data values, among other things. At some point, we realized that our measure applies not just to attacks on Diffix, but to any anonymization system. We also realized that our measure might be useful in the design of certification programs for anonymity. We decided to develop a general score for anonymity, and to build tools that would allow anyone to apply the measure to any anonymization technology. The score is called the GDA Score, for General Data Anonymity Score. The primary strength of the GDA Score is that it can be applied to any anonymization method, and therefore is apples-to-apples. The primary weakness is that it is based on empirical attacks (real attacks against real systems), and therefore the score is only as good as the attacks themselves. If there are unknown attacks on a system, then the score won't reflect this and may therefore make a system look more anonymous than it is. Our hope is that over time enough attacks will be developed that we can have high confidence in the GDA Score. Towards that end, we've started the Open GDA Score Project. This is a community effort to provide software and databases in support of developing new attacks, and a repository where the scores can be viewed. We recently launched the project in the form of a website, www.gda-score.org, and some initial tools and simple attacks. We will continue to develop tools and new attacks, but our goal is to attract broad participation from the community. For more information, visit www.gda-score.org. We have launched the Open GDA Score Project at www.gda-score.org. This is an open project to develop a set of tools and databases to generate anonymity scores for any data anonymization technique. The GDA Score, which stands for General Data Anonymity Score, is the first data anonymization measurement methodology that works with any anonymization technique. The GDA Score is a generalization of the measurement technique developed by Francis' group for the Diffix bounty program run last year. This was the first bounty program for anonymity. The GDA Score is of particular interest in Europe, where member states are expected to produce certification programs for anonymity. MPI-SWS Director Paul Francis and his group have launched the Open GDA Score Project at www.gda-score.org. This is an open project to develop a set of tools and databases to generate anonymity scores for any data anonymization technique. The GDA Score, which stands for General Data Anonymity Score, is the first data anonymization measurement methodology that works with any anonymization technique. The GDA Score is a generalization of the measurement technique developed by Francis' group for the Diffix bounty program run last year. This was the first bounty program for anonymity. The GDA Score is of particular interest in Europe, where member states are expected to produce certification programs for anonymity. The article "Enhancing Human Learning via spaced repetition optimization", coauthored by MPI-SWS and MPI-IS researchers, has been published in the Proceedings of the National Academy of Sciences (PNAS), a highly prestigious journal. The (open-access) article can be found here: https://www.pnas.org/content/early/2019/01/18/1815156116. Bridging the Gap Between Programming Languages and Hardware Weak Memory Models by Anton Podkopaev, Ori Lahav, and Viktor Vafeiadis. From Fine- to Coarse-Grained Dynamic Information Flow Control and Back by Marco Vassena, Alejandro Russo, Deepak Garg, Vineet Rajani, and Deian Stefan. Formal verification of higher-order probabilistic programs by Tetsuya Sato, Alejandro Aguirre, Gilles Barthe, Marco Gaboardi, Deepak Garg, Justin Hsu. Grounding Thin-Air Reads with Event Structures by Soham Chakraborty and Viktor Vafeiadis. On Library Correctness under Weak Memory Consistency by Azalea Raad, Marko Doko, Lovro Rožić, Ori Lahav, and Viktor Vafeiadis. What's more, the MPI-SWS Software Analysis and Verification group has a whole session to itself at POPL 2019. The weak memory session on Thursday, Jan 17, is comprised of the three papers by Viktor Vafeiadis, his students, postdocs, and collaborators. Alan Mislove (PhD 2009) is now an Associate Professor at Northeastern University in Boston, Massachusetts, USA. Andreas Haeberlen (PhD 2009) is now an Associate Professor at the University of Pennsylvania in Philadelphia, Pennsylvania, USA. Bryan Ford (Postdoc 2009) is now an Associate Professor at EPFL in Lausanne, Switzerland. Meeyoung Cha (Postdoc 2010) is now an Associate Professor at KAIST in Daejon, South Korea. Boris Köpf (Postdoc 2010) is now a researcher at Microsoft Research Cambridge in the UK. Matthew Hammer (PhD 2012) is now an Assistant Professor at The University of Chicago in Illinois, USA. Chung-Kil Hur (Postdoc 2012) is now an Associate Professor at Seoul National University in Seoul, South Korea. Neel Krishnaswami (Postdoc 2012) is now a Lecturer at the University of Cambridge in the UK. Nuno Santos (PhD 2013) is an Assistant Professor at IST, University of Lisbon in Portugal. Beta Ziliani (PhD 2013) is a faculty member at Universidad Nacional de Córdoba and a researcher at CONICET in Argentina. Aaron Turon (Postdoc 2014) heads the the Rust Development Team at Mozilla Research. Aaron is based in Portland, Oregon, USA. Pedro Fonseca (PhD 2015) is an Assistant Professor at Purdue University in West Lafayette, Indiana, USA. Pramod Bhatotia (PhD 2015) is a Senior Lecturer at the University of Edinburgh in Scotland, UK. Cheng Li (PhD 2016) is a faculty member at the USTC (The University of Science and Technology of China) in Hefei, China. Dmitry Chistikov (Postdoc 2016) is an Assistant Professor at the University of Warwick in the UK. Rayna Dimitrova (Postdoc 2017) is an Assistant Professor at the University of Leicester in the UK. Sadegh Soudjani (Postdoc 2017) is an Assistant Professor at Newcastle University in the UK. Vinayak Prabhu (Postdoc 2017) is an Assistant Professor at Colorado State University in Fort Collins, Colorado, USA. Mainack Mondal (PhD 2017) is a faculty member at IIT Kharaghpur in West Bengal, India. Oana Goga (Postdoc 2017) is a researcher at CNRS in Grenoble, France. Riju Sen (Postdoc 2017) is an Assistant Professor at IIT Delhi in India. Ori Lahav (Postdoc 2017) is a Senior Lecturer at Tel Aviv University in Israel. Mitra Nasri (Postdoc 2018) is an Assistant Professor at the Delft University of Technology in the Netherlands. Congratulations, everyone! We are proud that MPI-SWS alumni have spread far and wide, pursuing successful research careers all across the globe. Georg Zetzsche has joined the institute as a tenure-track faculty member, effective November 1, 2018. He is joining us from the Institut de Recherche en Informatique Fondamentale (IRIF) at Université Paris-Diderot, where he has been a postdoctoral researcher. Georg's goal is to understand which questions about program behaviors and other infinite structures can be answered efficiently. His research focuses on issues of decidability, complexity, synthesis, and expressiveness arising in program verification and mathematics. Georg was previously a postdoctoral researcher in the Laboratoire Spécification et Vérification (LSV) at ENS Paris-Saclay. He obtained his PhD from the University of Kaiserslautern and his Diplom degree from Universität Hamburg. For his PhD work, Georg received the EATCS Distinguished Dissertation Award. MPI-SWS faculty member Krishna Gummadi and MPI-SWS alumnus Alan Mislove have been awarded a "Secure the Internet" grant by Facebook. Their proposal, “Towards privacy-protecting aggregate statistics in PII-based targeted advertising,” has been awarded $60,000 to develop techniques for revealing advertising statistics that provide hard guarantees of user privacy, based on a (principles-first) approach. Their goal is to develop a differential privacy-like approach that can be applied to existing advertising systems. The Facebook "Secure the Internet" grant program is designed to improve the security, privacy, and safety of internet users. Gummadi and Mislove's proposal was one of only 10 winning proposals, which were together awarded more than $800,000 by Facebook. MPI-SWS faculty member Jonathan Mace has received an honorable mention for the Dennis M. Ritchie Doctoral Dissertation Award. Launched in 2013, the Dennis M. Ritchie Doctoral Dissertation Award was created by the Association for Computing Machinery's Special Interest Group on Operating Systems (ACM SIGOPS) to recognize research in software systems and to encourage the creativity that Dennis Ritchie embodied. Only one winner is chosen annually, and this year, Jonathan Mace's dissertation received an Honorable Mention for the award. "Many tools for monitoring and enforcing distributed systems," Jonathan explains, "capture information about end-to-end executions by propagating in-band contexts." In his thesis---A Universal Architecture for Cross-Cutting Tools in Distributed Systems"---he characterizes a broad class of such cross-cutting tools and extends these ideas to new applications in resource management and dynamic monitoring. Finally, he identifies underlying commonalities in this class of tools, and proposes an abstraction layering that simplifies their development, deployment, and reuse. Applications are invited for tenure-track faculty in all areas of computer science. Pending final approval, we expect to fill one position. MPI-SWS is part of a network of over 80 Max Planck Institutes, Germany’s premier basic-research organisations. MPIs have an established record of world-class, foundational research in the sciences, technology, and the humanities. The institute offers a unique environment that combines the best aspects of a university department and a research laboratory: Faculty enjoy full academic freedom, lead a team of doctoral students and post-docs, and have the opportunity to teach university courses; at the same time, they enjoy ongoing institutional funding in addition to third-party funds, a technical infrastructure unrivaled for an academic institution, as well as internationally competitive compensation. MPI-SWS Ph.D. student Aastha Mehta has been selected to attend the Rising Stars Workshop to be held at MIT from October 28-30, 2018. She is one of 76 participants, and one of only three invited from a European university. Rising Stars is a prestigious workshop that provides mentoring to women graduate students and postdocs interested in pursuing an academic career. Many real-world systems involve repeatedly making decisions under uncertainty—for instance, choosing one of the several products to recommend to a user in an online recommendation service, or dynamically allocating resources among available stock options in a financial market. Machine learning (ML) algorithms driving these systems typically operate under the assumption that they are interacting with static components, e.g., users' preferences are fixed, trading tools providing stock recommendations are static, and data distributions are stationary. This assumption is often violated in modern systems, as these algorithms are increasingly interacting with and seeking information from learning agents including people, robots, and adaptive adversaries. Consequently, many well-studied ML frameworks and algorithmic techniques fail to provide desirable theoretical guarantees—for instance, algorithms might converge to a sub-optimal solution or fail arbitrarily bad in these settings. Researchers at the Machine Teaching Group, MPI-SWS are designing novel ML algorithms that have to interact with agents that are adaptive or learning over time, especially in situations when the algorithm's decisions directly affect the state dynamics of these agents. In recent work , they have studied the above-mentioned problem in the context of two fundamental machine learning frameworks: (i) online learning using experts' advice and (ii) active learning using labeling oracles. In particular, they consider a setting where experts/oracles themselves are learning agents. For instance, active learning algorithms typically query labels from an oracle, e.g., a (possibly noisy) domain expert; however, in emerging crowd-powered systems, these experts are getting replaced by inexpert participants who could themselves be learning over time (e.g., volunteers in citizen science projects). They have shown that when these experts/oracles themselves are learning agents, well-studied algorithms (like the EXP3 algorithm) fail to converge to the optimal solution and can have arbitrarily bad performance for this new problem setting. Furthermore, they provide an impossibility result showing that without sharing any information across experts, it is impossible to achieve convergence guarantees. This calls for developing novel algorithms with practical ways of coordination between the central algorithm and learning agents to achieve desired guarantees. Currently, researchers at the Machine Teaching Group are studying these challenges in the context of designing next-generation human-AI collaborative systems. As a concrete application setting, consider a car driving scenario where the goal is to develop an assistive AI agent to drive the car in an auto-pilot mode, but giving control back to the human driver in safety-critical situations. They study this setting by casting it as a multi-agent reinforcement learning problem. When the human agent has a stationary policy (i.e., the actions take by the human driver in different states/scenarios are fixed), it is trivial to learn an optimal policy for the AI agent that maximizes the overall performance of this collaborative system. However, in real-life settings where a human driver would adapt their behavior in response to the presence of an auto-pilot mode, they show that the problem of learning an optimal policy for the AI agent becomes computationally intractable. This work is one of the recent additions to an expanding set of results and algorithmic techniques developed by MPI-SWS researchers in the nascent area of Machine Teaching [2, 3]. Adish Singla, Hamed Hassani, and Andreas Krause. Learning to Interact with Learning Agents. In Proceedings of the 32nd AAAI Conference on Artificial Intelligence (AAAI'18), 2018. Xiaojin Zhu, Adish Singla, Sandra Zilles, and Anna N. Rafferty. An Overview of Machine Teaching. arXiv 1801.05927, 2018. Maya Cakmak, Anna N. Rafferty, Adish Singla, Xiaojin Zhu, and Sandra Zilles. Workshop on Teaching Machines, Robots, and Humans. NIPS 2017.
and CTMDPs: A Lyapunov Approach” (with Sadegh Soudjani from Newcastle University). The French Data Protection Authority CNIL has recognized the benefits of Diffix anonymization by republishing an article by Paul Francis in which the utility of Diffix anonymization is highlighted. 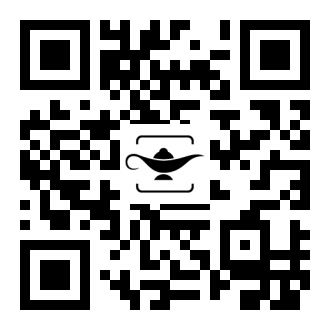 Diffix is the anonymization technology developed in joint research between Francis' group and Aircloak GmbH. Last year, CNIL published an article titled "Can anonymized data still be useful." The purpose of the article was to demonstrate that strong anonymization does not necessarily prevent useful analytics. In this work, CNIL uses K-anonymity on the New York City taxi database. Inspired by this effort, Francis shows that Diffix can be used for a wide range of analysis on the NYC taxi database, including trip times to LaGuardia airport, taxi driver work profiles, and congestion in the Manhattan financial district. CNIL re-published the article under the title "Anonymity vs. Utility: Another shot at Anonymizing the New York City taxi dataset". MPI-SWS researcher Mitra Nasri will join TU Delft as an assistant professor starting October 1, 2018. Congratulations, Mitra! Krishna Gummadi, head of the MPI-SWS Networked Systems group, has been awarded an ERC Advanced Grant. Over the next five years, his project "Foundations of Fair Social Computing" will receive 2.49 million euros, which will allow the group to develop the foundations for fair social computing in the future. In the most recent round for Advanced Grants, a total of 2,167 research proposals were submitted to the ERC out of which merely 12% were selected for funding. The sole selection criterion is scientific excellence. Social computing represents a societal-scale symbiosis of humans and computational systems, where humans interact via and with computers, actively providing inputs to influence---and in turn being influenced by---the outputs of the computations. Social computations impact all aspects of our social lives, from what news we get to see and who we meet to what goods and services are offered at what price and how our creditworthiness and welfare benefits are assessed. Given the pervasiveness and impact of social computations, it is imperative that social computations be fair, i.e., perceived as just by the participants subject to the computation. The case for fair computations in democratic societies is self-evident: when computations are deemed unjust, their outcomes will be rejected and they will eventually lose their participants. a lack of transparency in algorithmic decision making, with systems providing little to no information about which sensitive user data they use or how they use them. Given these concerns, we need reliable ways to assess and ensure the fairness of social computations. However, it is currently not clear how to determine whether a social computation is fair, how we can compare the fairness of two alternative computations, how to adjust a computational method to make it more fair, or how to construct a fair method by design. This project will tackle these challenges in turn. We propose a set of comprehensive fairness principles, and will show how to apply them to social computations. In particular, we will operationalize fairness, so that it can be measured from empirical observations. We will show how to characterize which fairness criteria are satisfied by a deployed computational system. Finally, we will show how to synthesize non-discriminatory computations, i.e., how to learn an algorithm from training data that satisfies a given fairness principle. Jonathan Mace has joined the institute as a tenure-track faculty member, effective September 1, 2018. He is joining us from Brown University, USA, where he has completed his Ph.D. in computer science. Jonathan's research focuses on tools, techniques, and abstractions to make it easier to develop and operate cloud distributed systems. In particular, he is interested in making it easier to reason about and control complicated, end-to-end system behaviors at runtime. Before starting his Ph.D., Jonathan worked for two years at IBM UK, and earned his undergraduate degree from Oxford University. He is a recipient of the Facebook Fellowship in Distributed Systems, an SOSP Best Paper Award, and the Honorable Mention for the Dennis Ritchie Thesis Award. down to hardware, but also programming languages and applications. his Ph.D., Antoine obtained his Master's and Bachelor's degree from ETH Zurich. Felipe Cerqueira and B. Brandenburg have received an Outstanding Paper Award at the 30th Euromicro Conference on Real-Time Systems (ECRTS 2018) for their paper entitled “On Strong and Weak Sustainability, with an Application to Self-Suspending Real-Time Tasks” (with Geoffrey Nelissen of CISTER Research Centre, ISEP, Polytechnic Institute of Porto). MPI-SWS graduate student Arpan Gujarati has won the Best Presentation Award at the 30th Euromicro Conference on Real-Time Systems (ECRTS18) for a talk on his paper entitled "Quantifying the Resiliency of Fail-Operational Real-Time Networked Control Systems" (with Mitra Nasri and Björn Brandenburg). Congratulations, Arpan! Paul Francis was featured in an interview by CNIL, the French national data protection authority. The interview discusses the innovative way in which MPI-SWS is tackling the data anonymity problem. The interview follows Paul's visit to CNIL in May 2018, where he presented the first-ever bounty program for anonymity. The bounty program, designed by MPI-SWS and implemented by the startup Aircloak, is one of the innovative ways in which MPI-SWS develops practical data anonymity techniques. quiz got to take home 3D dragons, printed on our own 3D printers. A paper by Vineet Rajani and Deepak Garg has been honored as a distinguished paper at the upcoming 31st IEEE Symposium on Computer Security Foundations (CSF 2018). The paper is titled "Types for Information Flow Control: Labeling Granularity and Semantic Models". Björn Brandenburg has won an Outstanding Paper award at the 24th IEEE Real-Time and Embedded Technology and Applications Symposium (RTAS 2018) for his paper entitled “Scalable Memory Reclamation for Multi-Core, Real-Time Systems” (with Yuxin Ren, Guyue Liu, and Gabriel Parmer of George Washington University, Washington, DC, USA). Björn Brandenburg is the program chair of the 25th IEEE Real-Time and Embedded Technology and Applications Symposium (RTAS'19), to be held as part of CPSWeek 2019 in Montreal, Canada from April 16 to April 18, 2019. RTAS is a top-tier conference with a focus on systems research related to embedded systems or timing issues. The broad scope of RTAS’19 ranges from traditional hard real-time systems to embedded systems without explicit timing requirements, including latency-sensitive systems with informal or soft real-time requirements. In 1937, a young Englishman by the name of Alan M. Turing published a paper with the obscure title "On computable numbers, with an application to the Entscheidungsproblem'' in the Proceedings of the London Mathematical Society. In doing so, he arguably laid the mathematical foundations of modern computer science. Turing's seminal contribution was to show that the famous Entscheidungsproblem, formulated by the great German mathematician David Hilbert several years earlier, could not be solved: more precisely, Turing proved (in modern parlance) that the problem of determining whether a given computer program halts could not be done algorithmically---in other words that the famous Halting Problem is undecidable. Although seemingly at the time a rather esoteric concern, the Halting Problem (and related questions) have dramatically gained in importance and relevance in more contemporary times. Fast forward to the 21st Century: nowadays, it is widely acknowledged that enabling engineers, programmers, and researchers to automatically verify and certify the correctness of the computer systems that they design is one of the Grand Challenges of computer science. In increasingly many instances, it is absolutely critical that the software governing various aspects of our daily lives (such as that running on an aircraft controller, for example) behave exactly as intended, lest catastrophic consequences ensue. What classes of infinite-state programs can be analyzed algorithmically? Researchers at the Foundations of Algorithmic Verification group are investigating what classes of infinite-state programs can, at least in principle, be fully handled and analyzed algorithmically by viewing computer programs abstractly as dynamical systems, and they seek to design exact algorithms enabling one to fully analyse the behaviour of such systems. In particular, they are presently tackling a range of central algorithmic problems from verification, synthesis, performance, and control for linear dynamical systems, drawing among others on tools from number theory, Diophantine geometry, and algebraic geometry, with the overarching goal of offering a systematic exact computational treatment of various important classes of dynamical systems and other fundamental models used in mathematics, computer science, and the quantitative sciences. Some of their achievements include several decidability and hardness results for linear recurrence sequences, which can be used to model simple loops in computer programs, answering a number of longstanding open questions in the mathematics and computer science literature. In a series of recent papers [1, 2], they have attacked the so-called Zero Problem for linear differential equations, i.e., the question of determining algorithmically whether the unique solution to a given linear differential equation has a zero or not. Such equations, which go back as far as Newton, are ubiquitous in mathematics, physics, and engineering; they are also particularly useful to model cyber-physical systems, i.e., digital systems that evolve in and interact with a continuous environment. In their work, they obtained several important partial results: if one is interested in the existence of a zero over a bounded time interval, then it is possible to determine this algorithmically, provided that a certain hypothesis from the mathematical field of number theory, known as Schanuel's Conjecture, is true. They were also able to partially account for the fact that the Zero Problem has hitherto remained open in full generality: indeed, if one were able to solve it in dimension 9 (or higher), then in turn this would enable one to solve various longstanding hard open problems from a field of mathematics known as Diophantine approximation. In doing so, they therefore exhibited surprising and unexpected connections between the modelling and analysis of cyber-physical systems and seemingly completely unrelated deep mathematical theories dealing with questions about whole numbers. Ventsislav Chonev, Joel Ouaknine, and James Worrell. On recurrent reachability for continuous linear dynamical systems. In Proceedings of the 31st Annual ACM/IEEE Symposium on Logic in Computer Science (LICS), 2016. Ventsislav Chonev, Joel Ouaknine, and James Worrell. On the Skolem Problem for continuous linear dynamical systems. In Proceedings of the 43rd International Colloquium on Automata, Languages, and Programming (ICALP), 2016. MPI-SWS faculty member Björn Brandenburg has received the first ever SIGBED Early Career Researcher Award. The award is given by ACM SIGBED to recognize outstanding contributions by young investigators in the area of embedded, real-time, and cyber-physical systems. A week-long school for outstanding undergrad/MS students curious about research in computing. Apply now! Outstanding undergraduate and Masters students are invited to learn about world-class research in security and privacy, social systems, distributed systems, machine learning, programming languages, and verification. Leading researchers will engage with attendees in their areas of expertise: the curriculum will include lectures, projects, and interaction with faculty from participating institutions. Applications are due by February 7, 2018. Travel and accommodation will be covered for accepted students. More info can be found on the CMMRS website. Machine learning algorithms are increasingly being used to automate decision making in several domains such as hiring, lending and crime-risk prediction. These algorithms have shown significant promise in leveraging large or “big” training datasets to achieve high prediction accuracy, sometimes surpassing even human accuracy. Unfortunately, some recent investigations have shown that machine learning algorithms can also lead to unfair outcomes. For example, a recent ProPublica study found that COMPAS, a tool used in US courtrooms for assisting judges with crime risk prediction, was unfair towards black defendants. In fact, several studies from governments, regulatory authorities, researchers as well as civil rights groups have raised concerns about machine learning potentially acting as a tool for perpetuating existing unfair practices in society, and worse, introducing new kinds of unfairness in prediction tasks. As a consequence, a flurry of recent research has focused on defining and implementing appropriate computational notions of fairness for machine learning algorithms. Existing computational notions of fairness in the machine learning literature are largely inspired by the concept of discrimination in social sciences and law. These notions require the decision outcomes to ensure parity (i.e. equality) in treatment and in impact. Notions based on parity in treatment require that the decision algorithm should not take into account the sensitive feature information (e.g., gender, race) of a user. Notions based on parity in impact require that the decision algorithm should give beneficial decision outcomes (e.g., granting a loan) to similar percentages of people from all sensitive feature groups (e.g., men, women). However, in many cases, these existing notions are too stringent and can lead to unexpected side effects. For example, ensuring parity has been shown to lead to significant reductions in prediction accuracy. Parity may also lead to scenarios where none of the groups involved in decision making (e.g., neither men nor women) get beneficial outcomes. In other words, these scenarios might be preferred neither by the decision maker using the algorithm (due to diminished accuracy), nor by the groups involved (due to very little benefits). In recent work, to appear at NIPS 2017, researchers at MPI-SWS have introduced two new computational notions of algorithmic fairness: preferred treatment and preferred impact. These notions are inspired by ideas related to envy-freeness and bargaining problem in economics and game theory. Preferred treatment and preferred impact leverage these ideas to build more accurate solutions that are preferable for both the decision maker and the user groups. The new notion of preferred treatment allows basing the decisions on sensitive feature information (thereby relaxing the parity treatment criterion) as long as the decision outcomes do not lead to envy. That is, each group of users prefers their own group membership over other groups and does not feel that presenting itself to the algorithm as another group would have led to better outcomes for the group. The new notion of preferred impact allows differences in beneficial outcome rates for different groups (thereby relaxing the parity impact criterion) as long as all the groups get more beneficial outcomes than what they would have received under the parity impact criterion. In their work, MPI-SWS researchers have developed a technique to ensure machine learning algorithms satisfy preferred treatment and / or preferred impact. They also tested their technique by designing crime-predicting machine-learning algorithms that satisfy the above-mentioned notions. In their experiments, they show that preference-based fairness notions can provide significant gains in overall decision-making accuracy as compared to parity-based fairness, while simultaneously increasing the beneficial outcomes for the groups involved. This work is one of the most recent additions to an expanding set of techniques developed by MPI-SWS researchers to enable fairness, accountability and interpretability of machine learning algorithms. Maria Christakis, an MPI-SWS faculty member, has received a Facebook Faculty Research Award. The award is given in recognition of Maria's work on combining static and dynamic program analysis, which is of particular relevance to Facebook as they are developing sophisticated program analysis tools to handle real-world code. Two MPI-SWS faculty members have received 3-year research grants from DFG, the German Research Organization. Eva Darulova has received a single-PI DFG grant entitled "Automated Rigorous Verification and Synthesis of Approximations." Björn Brandenburg has received a DFG grant entitled "RT-Proofs: Formal proofs for real-time systems." This award is for a collaborative grant, with co-PIs at INRIA (Grenoble), Verimag (Grenoble), ONERA (Toulouse), and TU Braunschweig (Germany). Both projects are actively recruiting doctoral students. Interested students can apply online. Computing resources are fundamentally limited and sometimes an exact solution may not even exist. Thus, when implementing real-world systems, approximations are inevitable, as are the errors introduced by them. The magnitude of errors is problem-dependent but higher accuracy generally comes at a cost in terms of memory, energy or runtime, effectively creating an accuracy-efficiency tradeoff. To take advantage of this tradeoff, we need to ensure that the computed results are sufficiently accurate, otherwise we risk disastrously incorrect results or system failures. Unfortunately, the current way of programming with approximations is mostly manual, and consequently costly, error prone and often produces suboptimal results. The goal of this project is to develop an end-to-end system which approximates numerical programs in an automated and trustworthy fashion. The programmer will be able to write exact high-level code and our `approximating compiler' will generate an efficient implementation satisfying a given accuracy specification. In order to achieve this vision, we will develop novel sound techniques for verifying the accuracy of approximate numerical programs, as well as new synthesis approaches to generate such approximations automatically. Real-time systems, i.e., computer systems subject to stringent timing constraints, are at the heart of most modern safety-critical technologies, including automotive systems, avionics, robotics, and factory automation, to name just a few prominent domains in which incorrect timing can have potentially catastrophic consequences. To assure the always-correct operation of such systems, i.e., to make sure that they always react in a timely fashion even in a worst-case scenario, rigorous validation efforts are required prior to deployment. However, establishing that all timing constraints are met is far from trivial --- and requires sophisticated analysis techniques --- because software timing varies in complex and difficult to predict ways, e.g., due to scheduling delays, shared resources, or communication, even when executing on a dedicated processor. Unfortunately, the theoretical foundations of current analysis methods are not nearly as rock-solid as one might expect. The key problem is that the state-of-the-art methods are backed by only informal or abbreviated proofs, which are typically difficult to understand, check, adapt, or reuse. As a result, there is a non-trivial risk of subtle, but fatal mistakes, either lingering in the published literature, or arising when combining results with unstated, inconsistent assumptions. And indeed, this is not just a hypothetical concern --- most famously, the timing analysis of the CAN real-time bus (widely deployed in virtually all modern cars) was refuted in 2007, 13 years after initial publication. Similarly, other lesser-known examples of incorrect worst-case analyses abound in the literature, including off-by-one errors, incorrect generalizations, and even claims that are simply wrong. Worse, even if the underlying theory is indeed flawless, there is still no guarantee that it is actually implemented correctly in the toolchains used in practice. In short, the state of the art in the analysis of safety-critical real-time systems leaves a lot to be desired --- informal "pen and paper" proofs are simply inadequate. There is a better way: timing analysis results should be formally proved, machine-checkable, and independently verifiable. To this end, the RT-proofs project will lay the foundations for the computer-assisted verification of schedulability analysis results by (i) formalizing foundational real-time concepts using the Coq proof assistant and (ii) mechanizing proofs of busy-window-based end-to-end latency analysis, the analysis approach of greatest practical relevance (e.g., used by SymTA/S). Additionally, we will (iii) demonstrate with a practical prototype how trust in a vendor's toolchain can be established by certifying the produced analysis results (rather than the tool itself). Leading by example, RT-proofs will fundamentally raise the level of rigor, to the benefit of the academic community, tool vendors, and real-time systems engineers in practice. MPI-SWS PhD student Arpan Gujarati has won the Middleware 2017 Best Student Paper award for his paper "Swayam: Distributed Autoscaling to Meet SLAs of Machine Learning Inference Services with Resource Efficiency.” The paper was co-authored with MPI-SWS faculty member Björn Brandenburg, as well as with Sameh Elnikety, Yuxiong He, and Kathryn McKinley. This paper is the result of the work Arpan did during his internship at Microsoft Research. The paper "Leveraging the Crowd to Detect and Reduce the Spread of Fake News and Misinformation " by MPI-SWS researchers, in collaboration with researchers at KAIST and MPI-IS, has been accepted to WSDM 2018, one of the flagship conferences in data mining. WSDM will take place in Los Angeles (CA, USA) in February 2018. David Swasey, Deepak Garg, and Derek Dreyer have won a Distinguished Paper award at the 2017 ACM SIGPLAN International Conference on Object-Oriented Programming, Systems, Languages, and Applications (OOPSLA 2017) for their paper "Robust and Compositional Verification of Object Capability Patterns." Björn Brandenburg and Sriram Sankaranarayanan (University of Boulder, CO) are co-chairs of the 2018 ACM SIGBED International Conference on Embedded Software (EMSOFT'18), to be held in conjunction with Embedded Systems Week (ESWEEK) from October 1-3 in Turin, Italy. Applications are invited for faculty positions at all career stages in computer science, with a particular emphasis on systems (broadly construed). We expect multiple positions to be filled in systems, but exceptional candidates in other areas of computer science are also strongly encouraged to apply. A doctoral degree in computer science or related areas and an outstanding research record (commensurate for the applicant's career stage) are required. Successful candidates are expected to build a team and pursue a highly visible research agenda, both independently and in collaboration with other groups. Qualified candidates should apply on our application website (apply.mpi-sws.org). To receive full consideration, applications should be received by December 1st, 2017. The institute is committed to increasing the representation of minorities, women, and individuals with physical disabilities. We particularly encourage such individuals to apply. The initial tenure-track appointment is for five years; it can be extended to seven years based on a midterm evaluation in the fourth year. A permanent contract can be awarded upon a successful tenure evaluation in the sixth year. The paper "From Parity to Preference: Learning with Cost-effective Notions of Fairness" by MPI-SWS researchers, in collaboration with researchers at the University of Cambridge and MPI-IS, has been accepted to NIPS 2017, the flagship conference in machine learning. NIPS will take place in Long Beach (CA, USA) in December 2017. "Derek Dreyer has made deep, creative research contributions of great breadth. His areas of impact are as diverse as module systems, data abstraction in higher-order languages, mechanized proof systems and techniques, and concurrency models and semantics. He has refactored and generalized the complex module systems of SML and OCaml; devised logical relations and techniques that enabled advances in reasoning about higher-order imperative programs; and developed novel separation logics for modular verification of low-level concurrent programs. His research papers are a model of clarity and depth, and he has worked actively to translate his foundational ideas into practice – most recently with the RustBelt project to provide formal foundations for the Rust language. Additionally, Dreyer has contributed leadership, support, and mentorship in activities such as the PLMW series of workshops, which are instrumental in growing the next generation of PL researchers." Previous recipients of the award have included Stephanie Weirich, David Walker, Sumit Gulwani, Lars Birkedal, and Shriram Krishnamurthi. MPI-SWS researchers—faculty members Krishna Gummadi and Peter Druschel and former SWS doctoral students Alan Mislove and Massimiliano Marcon—have received the ACM SIGCOMM Test of Time Award for their IMC 2007 paper on "Measurement and Analysis of Online Social Networks." The work was done in collaboration with Bobby Bhattacharjee of the University of Maryland. The award citation reads as follows: "This is one of the first papers that examine multiple online social networks at scale. By introducing novel measurement techniques, the paper has had an enduring influence on the analysis, modeling and design of modern social media and social networking services." The ACM SIGCOMM Test of Time Award is a retrospective award. It recognizes papers published 10 to 12 years in the past in Computer Communication Review or any SIGCOMM sponsored or co-sponsored conference that is deemed to be an outstanding paper whose contents are still a vibrant and useful contribution today. The paper entitled "An Exact and Sustainable Analysis of Non-Preemptive Scheduling" by MPI-SWS researchers Mitra Nasri and Björn Brandenburg was accepted into the program of the 38th IEEE Real-Time Systems Symposium (RTSS 2017). RTSS 2017 will be held from December 6 to December 8 in Paris, France. 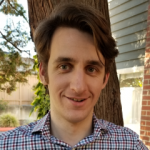 Amaury Pouly, a postdoc in Joël Oukanine's Foundations of Automatic Verification Group, has received the 2017 Ackermann Award for his PhD thesis, “Continuous-time computation models: From computability to computational complexity.” The Ackermann Award is an international prize presented annually to the author of an exceptional doctoral dissertation in the field of Computer Science Logic. Amaury Pouly's thesis shows that problems which can be solved with a computer in a reasonable amount of time (more specifically problems which belong to the class P of the famous open problem “P = NP?”) can be characterized as polynomial length solutions of polynomial differential equations. This result paves the way for reformulating certain questions and concepts of theoretical computer science in terms of ordinary polynomial differential equations. It also revisits analog computational models and demonstrates that analog and digital computers actually have the same computing power, both in terms of what they can calculate (computability) and what they can solve in reasonable (polynomial) time. We are pleased to announce that two new faculty will join MPI-SWS. Maria Christakis is joining us from the University of Kent, England, where she is a Lecturer at the School of Computing. Maria’s goal is to develop theoretical foundations and practical tools for building more reliable and usable software and increasing developer productivity. She is primarily interested in software engineering, programming languages, and formal methods. Maria joins the institute as a tenure-track faculty member, effective Oct 16, 2017. Maria was previously a post-doctoral researcher at Microsoft Research Redmond. She received her Ph.D. from ETH Zurich and her Bachelor’s and Master’s degrees from the National Technical University of Athens, Greece. Maria is the recipient of the ETH medal and the EAPLS Best PhD Dissertation Award. Adish Singla is joining us from ETH Zurich, where he has completed his Ph.D. in computer science. His research focuses on designing new machine learning frameworks and developing algorithmic techniques, particularly for situations where people are an integral part of computational systems. Adish joins the institute as a tenure-track faculty member, effective Oct 1, 2017. Before starting his Ph.D., he worked as a Senior Development Lead in Bing Search for over three years. Adish received his Bachelor's degree from IIT Delhi and his Master's degree from EPFL. He is a recipient of the Facebook Fellowship in the area of Machine Learning, the Microsoft Research Tech Transfer Award, and the Microsoft Gold Star Award. PLDI 2017: Repairing Sequential Consistency in C/C++11, by Ori Lahav, Viktor Vafeiadis, Jeehoon Kang, Chung-Kil Hur, and Derek Dreyer. ECOOP 2017: Strong Logic for Weak Memory: Reasoning About Release-Acquire Consistency in Iris, by Jan-Oliver Kaiser, Hoang-Hai Dang, Derek Dreyer, Ori Lahav, and Viktor Vafeiadis. 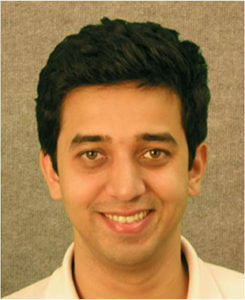 Adish Singla is joining us from ETH Zurich, where he has completed his Ph.D. in computer science. His research focuses on designing new machine learning frameworks and developing algorithmic techniques, particularly for situations where people are an integral part of computational systems. Adish joins the institute as a tenure-track faculty member, effective Oct 1, 2017. Before starting his Ph.D., he worked as a Senior Development Lead in Bing Search for over three years. Adish received his Bachelor's degree from IIT Delhi and his Master's degree from EPFL. He is a recipient of the Facebook Fellowship in the area of Machine Learning, the Microsoft Research Tech Transfer Award, and the Microsoft Gold Star Award. Maria Christakis joins the institute as a tenure-track faculty member, effective Oct 16, 2017. Maria’s goal is to develop theoretical foundations and practical tools for building more reliable and usable software and increasing developer productivity. She is mostly interested in software engineering, programming languages, and formal methods. Maria particularly likes investigating topics in automatic test generation, software verification, program analysis, and empirical software engineering. Her tools and techniques explore novel ways of writing, specifying, verifying, testing, and debugging programs in order to make them more robust while at the same time improving the user experience. Maria joins MPI-SWS from the University of Kent, England, where she is a Lecturer at the School of Computing. She was previously a postdoctoral researcher at Microsoft Research Redmond. Maria received her Ph.D. from the Department of Computer Science of ETH Zurich and was awarded with the ETH medal and the EAPLS Best PhD Dissertation Award. She completed her Bachelor’s and Master’s degrees at the Department of Electrical and Computer Engineering of the National Technical University of Athens, Greece. Pratyush Patel, Manohar Vanga, and Björn Brandenburg have won the Best Paper award at the 23rd IEEE Real-Time and Embedded Technology and Applications Symposium (RTAS 2017) for their paper entitled "TimerShield: Protecting High-Priority Tasks from Low-Priority Timer Interference". Peter Druschel has received the 2017 EuroSys Lifetime Achievement Award for his numerous and valuable contributions to research in computer systems. It is the highest honor accorded by EuroSys to systems researchers. Mitra Nasri and Björn Brandenburg have won an Outstanding Paper award at the 23rd IEEE Real-Time and Embedded Technology and Applications Symposium (RTAS 2017) for their paper entitled "Offline Equivalence: A Non-Preemptive Scheduling Technique for Resource-Constrained Embedded Real-Time Systems". The MPI-SWS Real-Time Systems group, led by Björn Brandenburg, has won the best paper award at ECRTS’16, the best paper award at RTSS’16, and the best paper award at RTAS’17. These are the three main conferences in real-time systems. This is the first time a group has won best paper awards in all three consecutive top real-time systems conferences. Congratulations to Björn and the postdocs and students in the real-time systems group! Paul Francis will give the keynote address at the Oakland (IEEE S&P) Workshop on Privacy Engineering. The talk, entitled "The Diffix Framework: Revisiting Noise, Again", presents the first database anonymization system that exhibits low noise, unlimited queries, simple configuration, and rich query semantics while still giving strong anonymity. The workshop will be held May 25 in San Jose, CA. For over 40 years, the holy grail of database anonymization is a system that allows a wide variety of statistical queries with minimal answer distortion, places no limits on the number of queries, is easy to configure, and gives strong protection of individual user data. This keynote presents Diffix, a database anonymization system that promises to finally bring us within reach of that goal. Diffix adds noise to query responses, but "fixes" the noise to the response so that repeated instances of the same response produce the same noise. While this addresses the problem of averaging attacks, it opens the system to "difference attacks" which can reveal individual user data merely through the fact that two responses differ. Diffix proactively examines queries and responses to defend against difference attacks. This talk presents the design of Diffix, gives a demo of a commercial-quality implementation, and discusses shortcomings and next steps. Eva Darulova is teaching Static Program Analysis in summer 2017 at Saarland University. Sadegh Soudjani is teaching Principles of Cyber-physical Systems at the University of Kaiserslautern in Summer 2017. The course meets Tuesdays 11:45-13:15 and Thursdays 10:00-11:30 in 11-260. Rupak Majumdar and Daniel Neider are co-teaching Advanced Automata Theory at the University of Kaiserslautern in the Summer 2017 semester. The course meets Tuesdays 08:15-09:45 in room 48-210 and Wednesdays 13:45-15:15 in room 46-280 on the University of Kaiserslautern campus. The session, entitled “Challenges and Strategies for Certifying Data Anonymization for Data Sharing,” brings together technical and legal experts to explore how Data Protection Officers (DPOs) can manage the complexities and uncertainties of GDPR-compliant data anonymization. The IAPP Congress will be held November 7-9 in Brussels. Data sharing is increasingly important. Companies share data internally across business units to gain business insights, they share data externally with data analytics vendors, and they often share data simply to make money. Ensuring the anonymity of users in the data set is necessary. The process of approving or certifying anonymization however is costly, time consuming, and uncertain. Current approaches to anonymization are ad hoc at best. They require a custom strategy for each new data sharing scenario, and it is often unclear whether the data is really anonymized or not. In this informative and lively session, corporate DPOs, vendors of analytics solutions, and privacy researchers share their experiences with data anonymization and the approval process. They provide case studies illustrating the pitfalls of "do it yourself" anonymization, and show how some new ready-for-use anonymization can eliminate the delays and guesswork of data anonymization. Paul Francis will give the keynote address at the Oakland (IEEE S&amp;P) Workshop on Privacy Engineering. The talk, entitled "The Diffix Framework: Revisiting Noise, Again", presents the first database anonymization system that exhibits low noise, unlimited queries, simple configuration, and rich query semantics while still giving strong anonymity. The MPI-SWS paper "Fairness Beyond Disparate Treatment & Disparate Impact: Learning Classification without Disparate" has received a Best Paper Award Honorable Mention at WWW 2017. The 26th International World Wide Web Conference (WWW) took place in Perth (Australia) in April 2017. MPI-INF and MPI-SWS jointly participated in Girl's Day this year. The Max Planck Institutes for Informatics and Software Systems pursue basic research in many areas of computer science. But what exactly is computer science? And what does a day in the life of a scientist look like in computer science? We addressed these questions by way of hands-on examples and demonstrated, for instance, how a computer learns, how the car navigation system knows how to get from A to B, and also how one doesn’t always need a computer for doing computer science. Along the way, the school girls were able to ask our students and researchers all sorts of questions about what it is like to work in research. Die Max-Planck Institute für Informatik und Software Systeme betreiben Grundlagenforschung in vielen Bereichen der Informatik. Aber was genau ist Informatik? Und wie sieht ein Tag im Leben einer Wissenschaftlerin in der Informatik aus? Genau dies haben wir anhand von Beispielen zum Anfassen und Ausprobieren gezeigt und dabei z.B. illustriert, wie ein Computer lernt, wie das Navi weiß wie man von A nach B kommt, und auch dass man für Informatik nicht immer einen Computer braucht. Nebenbei hatten die Schülerinnen die Gelegenheit unseren StudentInnen, DoktorandInnen und WissenschaftlerInnen allerlei Fragen zu stellen, wie es denn ist in der Forschung zu arbeiten. Reinhard Munz, a doctoral student in Paul Francis' group, is doing an internship at Nokia/Bell Labs. His internship will last from January to May, and is in the Autonomous Software Systems Research Group led by Volker Hilt. The paper "A Broad View of the Ecosystem of Socially Engineered Exploit Documents" was accepted at NDSS '17 (Network and Distributed System Security Symposium). The authors include Stevens Le Blond, Cédric Gilbert, Utkarsh Upadhyay, and Manuel Gomez Rodriguez from MPI-SWS, as well as David Choffnes from Northeastern University. A week-long school for outstanding undergrad/MS students curious about research in computing. Apply by Feb 7! Applications are due by February 7, 2017. Travel and accommodation will be covered for accepted students. MPI-SWS directors Peter Druschel and Rupak Majumdar, along with Gerhard Weikum (Scientific Director at the MPI for Informatics) and Michael Backes (MPI-SWS Fellow and Professor at Saarland University), have jointly been awarded the prestigious ERC Synergy Grant. Over the next six years their project "imPACT: Privacy, Accountability, Compliance, and Trust in Tomorrow's Internet" will receive almost 10 million euros, which will allow them to explore how to protect users against eavesdropping and fraud on the Internet without restricting trade, freedom of expression or access to information. MPI-SWS directors Peter Druschel and Rupak Majumdar, along with Gerhard Weikum (Scientific Director at the MPI for Informatics) and Michael Backes (MPI-SWS Fellow and Professor at Saarland University), have jointly won the prestigious ERC Synergy Grant. MPI-SWS postdoc Stevens Le Blond's work on network anonymity was recently covered in an MIT Tech Review article about vulnerabilities in the Tor network anonymization service. MPI-SWS faculty member Cristian Danescu-Niculescu-Mizil was quoted in a recent ABC News article about social bias effects in social media. MPI-SWS faculty member Björn Brandenburg and PhD students Arpan Gujarati and Felipe Cerqueira have won a 2013 ECRTS Outstanding Paper Award for their paper "Schedulability Analysis of the Linux Push and Pull Scheduler with Arbitrary Processor Affinities." MPI-SWS faculty member Björn Brandenburg and PhD student Alexander Wieder have won the 2013 SIES (IEEE Symposium on Industrial Embedded Systems) Best Paper Award for their paper "Efficient Partitioning of Sporadic Real-Time Tasks with Shared Resources and Spin Locks". A research project proposed by MPI-SWS faculty member Derek Dreyer has been selected for a 2013 Microsoft Research PhD Scholarship. The project is entitled "Compositional Verification of Scalable Joins by Protocol-Based Refinement". Each year Microsoft selects approximately twenty projects to fund, based on proposals from research institutions across Europe, Africa, and the Middle East. The Scholarship funds a PhD student for three years. MPI-SWS faculty member Cristian Danescu-Niculescu-Mizil, along with his co-authors, has won the 2013 WWW Best Paper Award for his paper "No Country for Old Members: User Lifecycle and Linguistic Change in Online Communities." MPI-SWS PhD student Juhi Kulshrestha was awarded a Google Anita Borg Scholarship. She joins Ezgi Cicek, who received an Anita Borg Scholarship in 2012. Juhi previously received a 2011 Google Fellowship for her work in social networking. 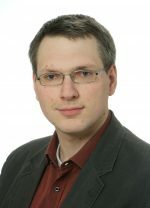 MPI-SWS faculty member Björn Brandenburg has won the 2012 EDAA Outstanding Dissertations Award in the category "New directions in embedded system design and embedded software", to be presented at the DATE 2013 conference in March. This marks the third award Brandenburg has received for his dissertation. MPI-SWS faculty member Cristian Danescu-Niculescu-Mizil's work on the memorability of language was recently covered in a New York Times article about the computational analysis of cultural texts. This work was conducted at Cornell University with Justin Cheng, Jon Kleinberg and Lillian Lee. Björn Brandenburg, an MPI-SWS faculty member, has been awarded the Council of Graduate Schools/ProQuest Distinguished Dissertation Award in the area of mathematics, physical sciences, and engineering. The award—North America's most prestigious honor for doctoral dissertations—recognizes recent doctoral recipients who have already made unusually significant and original contributions to their fields. Brandenburg's dissertation, "Scheduling and Locking in Multiprocessor Real-Time Operating Systems," was also selected for the 2012 Linda Dykstra Distinguished Dissertation Award, which recognizes the best dissertation among all graduates in the fields of mathematics, physical sciences, and engineering at the University of North Carolina at Chapel Hill. Lorenzo Alvisi, a professor at the University of Texas at Austin, has been selected for a prestigious Humboldt Research Award from the Alexander von Humboldt Foundation. This award provides support for him to spend up to a year at the institute, where he will work with Peter Druschel and other MPI-SWS researchers on fault-tolerant computing for multi-core servers. This is the second year that an MPI-SWS visiting professor has received a Humboldt Award. Johannes Gehrke was a 2010 Humboldt Research Award recipient. The Humboldt Research Award is granted "in recognition of a researcher's entire achievements to date to academics whose fundamental discoveries, new theories, or insights have had a significant impact on their own discipline and who are expected to continue producing cutting-edge achievements in the future." Ruzica Piskac, an MPI-SWS faculty member, has been awarded the 2012 Patrick Denantes Prize for her dissertation titled "Decision Procedures for Program Synthesis and Verification." The prize is awarded annually to the most outstanding master's, doctoral or post-doctoral research project within the school of computer and communication sciences at EPFL. Allen Clement obtained his Ph.D. at the University of Texas at Austin in 2011. Allen's research aims at designing and building systems that continue to work despite the myriad of things that go 'wrong' in deployed systems, including broken components, malicious adversaries, and benign race conditions. His research builds on techniques from distributed systems, security, fault tolerance, and game theory. Cristian Danescu-Niculescu-Mizil is joining us from Cornell University, where he obtained his PhD in computer science. Cristian's research aims at developing computational frameworks that can lead to a better understanding of human social behavior, by unlocking the unprecedented potential of the large amounts of natural language data generated online. His work tackles problems related to conversational behavior, opinion mining, computational semantics and computational advertising. 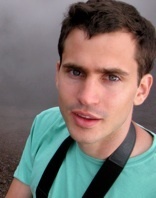 Fourth-year PhD student Georg Neis won a 2012 Google PhD Fellowship for his work in Programming Technology. First-year PhD student Ezgi Cicek was awarded an Anita Borg Scholarship. They join MPI-SWS PhD student Juhi Kulshrestha, who received a 2011 Google Fellowship for her work in social networking. MPI-SWS faculty Rupak Majumdar, along with his coauthors, has received two best paper awards: the EAPLS 2012 best paper award and the 2012 ACM TODAES best paper award. Rupak Majumdar and Zhenyue Long, along with Georgei Calin and Roland Meyer at TuKL, have received the ETAPS 2012 best paper award for their paper "Language-Theoretic Abstraction Refinement". Rupak Majumdar has also received (along with Jason Cong, Bin Liu, and Zhiru Zhang) the 2012 ACM TODAES Best Paper Award for his 2010 TODAES article "Behavior-Level Observability Analysis for Operation Gating in Low-Power Behavioral Synthesis". Krishna Gummadi and Farshad Kooti, along with Winter Mason and previous MPI-SWS postdoctoral fellow Meeyoung Cha, have received a best paper award at ICWSM 2012, for their paper "The Emergence of Conventions in Online Social Networks." A recent WWW 2012 paper by Krishna Gummadi, Bimal Viswanath, and their coauthors was covered by GigaOM, a popular technology news blog, in an article titled Who's to blame for Twitter spam? Obama, Gaga, and you. Steven le Blond's work on security flaws in Skype and other peer-to-peer applications has been receiving global media attention: WSJ, Le Monde (French), die Zeit (German), Daily Mail, New Scientist, Slashdot, Wired, and the New Scientist "One Percent" blog. MPI-SWS faculty member Björn Brandenburg, along with James H. Anderson (UNC), has received the ACM SIGBED EMSOFT 2011 best paper award for his paper "Real-time resource-sharing under clustered scheduling: mutex, reader-writer, and k-exclusion locks." 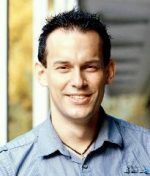 MPI-SWS faculty Paul Francis has received the ACM SIGCOMM Test of Time Award for 2011. The ACM SIGCOMM Test of Time Award recognizes papers published 10 to 12 years in the past in Computer Communication Review or any SIGCOMM sponsored or co-sponsored conference that is deemed to be an outstanding paper whose contents are still a vibrant and useful contribution today. Paul's 2001 paper, "A Scalable Content-Addressable Network," was coauthored with Mark Handley, Richard Karp, Sylvia Ratnasamy, and Scott Shenker. This paper is one of four highly influential papers that laid the foundation for P2P systems based on distributed hash tables (DHTs). MPI-SWS faculty Rupak Majumdar has received the ACM SIGPLAN Most Influential PLDI (Programming Language Design and Implementation) Paper Award for 2011. 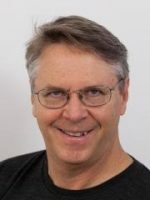 The ACM SIGPLAN Most Influential PLDI Paper Award is given each year for a paper that is ten years old and has been highly influential in the area of programming languages. Rupak's 2001 paper, "Automatic Predicate Abstraction of C Programs," was coauthored with Thomas Ball, Todd Millstein, and Sriram Rajamani. The paper presented the predicate abstraction technology underlying the SLAM project. The technology is now part of Microsoft's Static Driver Verifier in the Windows Driver Development Kit. This is one of the earliest examples of automation of software verification on a large scale and the basis for numerous efforts to expand the domains that can be verified. We are pleased to announce that three new faculty will join MPI-SWS this fall. Björn Brandenburg is joining us from the University of North Carolina at Chapel Hill (UNC), where he obtained his Ph.D. in computer science. Björn's research interests include multiprocessor real-time system, real-time synchronization protocols, and operating systems. Björn is the lead designer and developer of LITMUSRT, an extension of the Linux kernel for real-time scheduling and synchronization on multicore platforms. Deepak Garg is joining us from the Cybersecurity Lab (CyLab) at Carnegie Mellon University, where he was a post-doctoral researcher. He obtained his Ph.D. from Carnegie Mellon's Computer Science Department. His research interests are in the areas of computer security and privacy, formal logic and programming languages. He is specifically interested in logic-based models of secure systems and formal analysis of security properties of systems. Ruzica Piskac is joining us from EPFL, where she has completed her Ph.D. in computer science. The goal of her research is to make software development easier and software more reliable via automated reasoning techniques. She is specifically interested in decision procedures, their combinations and applications in program verification and software synthesis. Two MPI-SWS alumni receive NSF CAREER awards. Two MPI-SWS alumni — Andreas Haeberlen and Alan Mislove — have received NSF CAREER awards. The CAREER award is the National Science Foundation's most prestigious award in support of junior faculty who exemplify the role of teacher-scholars through outstanding research, excellent education and the integration of education and research. Andreas Haeberlen, now an Assistant Professor in the department of Computer and Information Science at the University of Pennsylvania, has received the award for his proposal "Evidence in Federated Distributed Systems." Alan Mislove, now an Assistant Professor in the College of Computer and Information Science at Northeastern University, has received the award for his proposal "Systems for the Emerging Patterns of Content Exchange." Johannes Gehrke, a professor at Cornell University, has been selected for a prestigious Humboldt Research Award from the Alexander von Humboldt Foundation. This award will provide support for him to spend eight months in Germany, working with Peter Druschel and other MPI-SWS researchers on data-intensive distributed systems that make up the software infrastructure inside such large Web companies as Amazon, Yahoo! and Google. A study by MPI-SWS researchers Saikat Guha (now at Microsoft Research), Bin Cheng, and Paul Francis has been highlighted on CNN, NPR, The Washington Post, Fox News, and other major media outlets. The study, which will be presented at the ACM Internet Measurement Conference (IMC) in November, looks at the targeting behavior of Google and Facebook. While the goal of the study was to understand targeting in general, the researchers discovered that gay Facebook users can unknowingly reveal to advertisers that they are gay simply by clicking on an ad targeted to gay men. The ads appear innocuous in that they make no mention of targeting gay users (for instance, an ad for a nursing degree). A user's sexual orientation can be leaked even if the user made his sexual orientation private using Facebook's privacy settings. This study was done as part of a broader research project to design techniques for making advertising more private. 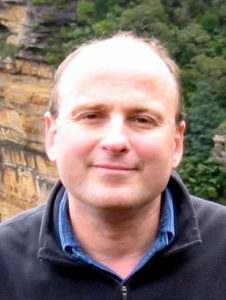 Viktor Vafeiadis joins the institute's faculty, starting in October 2010. Viktor's research interests are in software analysis and verification, programming languages, programming logics, and concurrency. 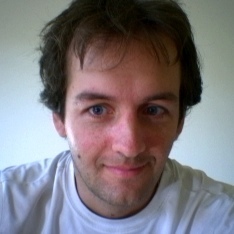 Viktor's research contributions include inventing new concurrent program logics (RGSep & deny/guarantee); developing automated verification tools (SmallfootRG & Cave) for proving correctness properties of concurrent algorithms; and verifying some particularly challenging algorithms manually (e.g., mcas), mechanically (e.g., fast congruence closure), or automatically (e.g., lazy set). Viktor received his B.A. degree in Computer Science in 2004 and his Ph.D. degree in Computer Science in 2008 both from the University of Cambridge. After that, he held post-doctoral research positions at Microsoft Research and at the University of Cambridge. Rupak Majumdar joins the institute's faculty as a scientific director. Rupak's research interests are in computer-aided verification and control of reactive, real-time, hybrid, and probabilistic systems; software verification and programming languages; and logic and automata theory. Rupak's research spans the spectrum of formal verification techniques, ranging from theoretical foundations of logic and automata theory to practical software engineering tools that systematically analyze thousands of lines of code for programmer errors. In the field of software model checking, Rupak has made major contributions. Rupak, along with Ranjit Jhala, wrote the the model checker Blast, which is able to analyze over 100,000 lines of code for complex temporal properties. This achievement was a major milestone and proof of feasibility in the field of software verification and led to a flurry of academic and industrial activity in the area. Rupak joins MPI-SWS from the University of California, Los Angeles, where he was on the faculty of the computer science department. Prior to that, Rupak received his Ph.D. degree in Computer Science from the University of California at Berkeley, and his B.Tech. degree in Computer Science from the Indian Institute of Technology at Kanpur. A study by MPI-SWS researchers Saikat Guha (now at Microsoft Research), Bin Cheng, and Paul Francis has been highlighted on CNN, NPR, The Washington Post,Fox News, and other major media outlets. Robert Harper has been appointed as the institute's first external scientific member. Dr. Harper is a Professor of Computer Science at Carnegie Mellon University, where he conducts research on programming language design and implementation. Bob will be visiting the institute in Summer 2010. The external scientific member appointment is a courtesy appointment, which acknowledges the member's scientific excellence, as well as his or her close collaboration and contribution to joint research projects with MPI-SWS faculty and researchers. Robert Harper has been a professor in the Computer Science Department at Carnegie Mellon University since 1988. He received his Ph.D. in Computer Science from Cornell University in 1985, and was a post-doctoral research fellow at the Laboratory for Foundations of Computer Science at Edinburgh University from 1985-1988. He is best known for his work on the design, definition, and implementation of Standard ML; the design and application of the LF logical framework; the type-theoretic foundations of modularity in programming languages; the use of typed intermediate languages for certified compilation; the co-invention of self-adjusting computation for dynamic algorithms; and the application of fundamental theory to practical software systems. His current interests include mechanization of the metatheory of programming languages, the integration of types and verification, and the application of programming language theory to computer security. Andreas Haeberlen has been awarded the 2009 Otto Hahn Medal for outstanding scientific achievement. The medal, and its accompanying monetary prize, will be presented to Andreas at the Max Planck society's annual General Assembly in Hannover on June 16. Andreas's medal was awarded for "pioneering work on accountability in distributed computer systems, in particular for the design, implementation and demonstration of practical techniques for the reliable and tamper-proof detection of complex faults. Andreas obtained his PhD in Spring 2009 and is now an Assistant Professor in the Department of Computer and Information Science at the University of Pennsylvania. Founded in 1948, the Max Planck Society is a non-profit scientific organization affiliated with the Max Planck Institutes. The Society awards the Otto Hahn Medal annually to young scientists in recognition of outstanding scientific achievement. In addition to a stipend, the award gives winners preference for grants enabling them to conduct research abroad for one year. Meeyoung Cha, Hamed Haddadi, Fabricio Benevenuto, and Krishna Gummadi's work on measuring user influence in the Twitter network has received media coverage from the New York Times and popular technology blogs. Alan Mislove, Bimal Viswanath, Krishna P. Gummadi, and Peter Druschel's work on inferring user profiles in online social networks has received media coverage from Slashdot. Umut Acar joins the institute's faculty, starting in January 2010. Umut's research interests are in language and algorithm design and implementation, particularly for dynamic systems that interact with changing data from various sources, such as users and the physical environment. Such systems abound in many areas of computer science. For example, physical simulations often involve objects that move continuously over time, databases host and process data that changes over time (e.g., by introduction of new information records), and connectivity in networks and distributed systems changes as links go down or come alive. Umut's primary research focus has been self-adjusting computation, where computations respond automatically to modifications to their data. With his collaborators, he designs languages for developing self-adjusting programs, researches techniques for analyzing their complexity, and evaluates the proposed techniques by considering problem domains such as computational geometry, machine learning, and scientific computing. Umut's other interests include parallel computing, databases, and design and implementation of high-level languages. Umut Acar received his B.S. in Computer Science from Bilkent University-Turkey in 1997, his M.A. from University of Texas at Austin in 1999, and his Ph.D. from Carnegie Mellon University in 2004. Umut joins MPI-SWS from the Toyota Technological Institute of Chicago, where he was an assistant professor from 2005 to 2009. Michael Backes awarded an ERC Starting Grant, selected by Technology Review as a "Young Innovator"
MPI-SWS fellow Michael Backes has been honored as a recipient of the ERC Starting Grant 2009. Michael was also recently selected by the editors of Technology Review as one of the 35 young innovators under the age of 35 whose work they found most exciting. The ERC Starting Grant was established in 2007 by the European Research Council to support up-and-coming research leaders in Europe. Recipients are selected based upon "outstanding track-record of early achievements appropriate to their research field and career stage." Michael's 2009 Young Innovator award is based on his work proving that Internet security protocols can really be trusted. Software designed by Backes' group can prove in less than a second whether an Internet protocol is truly secure. Michael received his Ph.D. from Saarland University in 2002. He was a Research Staff Member at the IBM Zurich Research laboratory before accepting his current position as a professor at Saarland University in 2006. He was named a fellow of the Max-Planck Institute for Software Systems in 2007. MPI-SWS PhD student Ashutosh Gupta and and faculty Andrey Rybalchenko, along with Rupak Majumdar (UCLA), have received the EAPLS best paper award for their TACAS'09 paper "From Tests to Proofs." The EAPLS award goes to the best contribution in the area of programming languages among CC, ESOP, and TACAS—three member conferences of ETAPS, the European Joint Conferences on Theory and Practice of Software. The award-winning paper describes the design and implementation of an automatic invariant generator that can be used in the verification of imperative programs. The authors' new approach makes constraint solving—and hence invariant generation—more scalable by adding information obtained from static abstract interpretation as well as dynamic execution of the program. ETAPS, established in 1998, is a confederation of five annual conferences, accompanied by satellite workshops and other events. It is a primary forum for academic and industrial researchers working on topics relating to Software Science. Previous EAPLS best paper award winners are listed at http://www.eapls.org/pages/topic_05_awards/. Congratulations to Meeyoung Cha, Juan Antonio Navarro Perez, and Hamed Haddadi. Their paper "Flash Floods and Ripples: The Spread of Media Content through the Blogosphere" was selected as the ICWSM'09 best paper using the Spinn3r dataset. The winning paper was selected out of all papers in the main conference and the data challenge workshop that used the 2009 Spinn3r blog dataset. Krishna Gummadi, Ph.D., accepts a position on the faculty of the MPI for Software Systems as an independent researcher. This position is comparable to a tenure-track Assitant Professor position at a U.S. University. Krishna hold a B.Tech. degree from IIT Madras, and the M.S. and Ph.D. degrees from the University of Washington in Seattle, all in Computer Science and Engineering. Krishna has gained international recognition for his research on networked systems, as the recipient of three best paper awards at leading conferences in his area and as the main author of the most cited computer science articles in 2003 and 2004, respectively, according to citeseer. He will join the MPI for Software Systems in October 2005. The MPIs for Software Systems in Kaiserslautern and Saarbruecken and the MPI for Informatics in Saarbruecken agree to form a joint administrative unit, headed by Volker Geiss with staff in both the Kasierslautern and the Saarbruecken locations. Volker currently heads the administrative unit of the MPI for Informatics. Prof. Peter Druschel, Ph.D., accepts the position of Founding Director of the MPI for Software Systems. Peter comes from Rice University in Houston, TX, where he has spent eleven years as Assistant Professor (1994-2000), Associate Professor (2000-2002) and Full Professor (2002-) of Computer Science. Peter also spent time teaching and researching at the University of Paris VI, at Microsoft Research in Cambridge, UK, and at the Massachussets Institute of Technology (MIT) in Boston. He holds a Dipl.-Ing. (FH) degree in Electrical Engineering from Fachhochschule Munich, and the M.S. and Ph.D. degrees in Computer Science from the University of Arizona. Peter conducts research in experimental distributed systems, with a focus on self-organizing, decentralized and autonomous systems. He is the recipient of a National Science Foundation CAREER Award and an Alfred P. Sloan Fellowship. This is the second year that an MPI-SWS visiting professor has won a Humboldt Award. Johannes Gehrke was a 2010 Humboldt Research Award recipient. In the spring of 2009, MPI-SWS graduated its first four PhD students—Andreas Haeberlen, Alan Mislove, Animesh Nandi, and Atul Singh. All four students have landed competitive academic or research positions in a very tight job market. This fall, Andreas Haeberlen will be an Assistant Professor at the University of Pennsylvania, Alan Mislove will be an Assistant Professor at Northeastern University, Animesh Nandi will be a researcher at Bell Labs, India, and Atul Singh will be a researcher at NEC Labs, Princeton. The students received their PhD degrees from Rice University after spending the last several years of their graduate studies at MPI-SWS. Paul Francis joins the institute's faculty as a scientific director. Paul's work over the years has focused on network routing and addressing problems, with a particular interest in large and self-configuring systems. Paul's work has had tremendous impact on both research and industrial practice. He is best known for inventing Network Address Translation (NAT), shared multicast trees (which form the basis of PIM-SM), and the use of multiple addresses to scale routing in the face of site multihoming, which was adopted by IPv6. Paul joins MPI-SWS from Cornell University, where he was on the faculty of the computer science department. Prior to that, Paul spent many years in industry labs such as Bellcore, NTT Research Labs in Tokyo, ACIRI in Berkeley, and at several Silicon Valley startups. Paul Francis's arrival marks the opening of the insitute's Kaiserslautern site. A jury chaired by renowned architect Prof. Gunther Henn evaluates fifteen drafts submitted as part of an architecture competition for the design of the institute's new buildings in Kaiserlautern and Saarbruecken. First prize is awarded to a design by the firm of Weinbrenner and Single in Nuertingen. The designs reflect a common architectural concept that fosters communication and cooperation, while each building has a distinct appearance that respects its situation within the campus of the Technical University of Kaiserslautern and Saarland University, respectively. Construction is expected to commence in 2007 and will cost about EUR 20M for both buildings. The MPIs for Software Systems in Kaiserslautern and Saarbruecken and the MPI for Informatics in Saarbruecken agree to form a joint administrative unit, headed by Volker Geiss, with staff in both the Kasierslautern and the Saarbruecken locations. Volker currently heads the administrative unit of the MPI for Informatics. On November 19, the Senate of the Max Planck Society approved the creation of the MPI for Software Systems. The institute will have two locations of equal scientific strength, one on the campus of the Technical University of Kaiserslautern, and one on the campus of Saarland University in Saarbruecken.